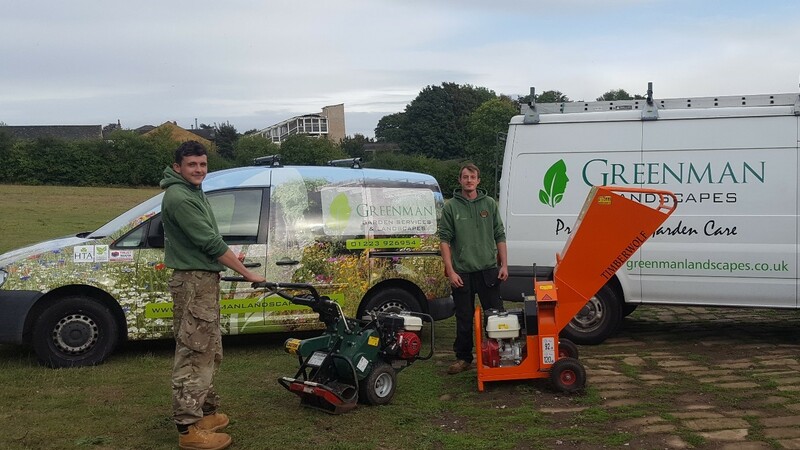 Greenman Landscapes Ltd have recently invested in some exciting new equipment to make work in your garden quicker, less costly and even more environmentally friendly. It may look like “Big boys toys” but these machines are about making our service better, more efficient and reducing environmental impact. This bright orange chipper is only small but it ‘packs a punch. Ideal for working in small gardens, it makes green waste into a useable resource and reduces disposal of waste. This professional turf cutter is great for clearing a site or preparing for a new lawn, with the minimum amount of soil displaced and no chemicals used, it’s as green as it looks!